Experience the ultimate in urban living at Whitley Apartments, a luxury high-rise set amid the historic grandeur of downtown Austin, TX. 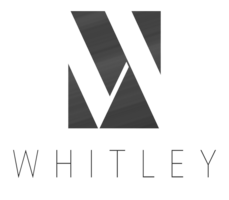 More than just a place to live, Whitley has created a modern oasis with a phenomenal package of amenities designed to enrich your life. Picture yourself at the rooftop pool and aqua lounge with its contemporary waterfall in the background. A gourmet-style outdoor kitchen with fire pits and a barbecue lounge creates a dynamic entertainment space for residents and their guests. 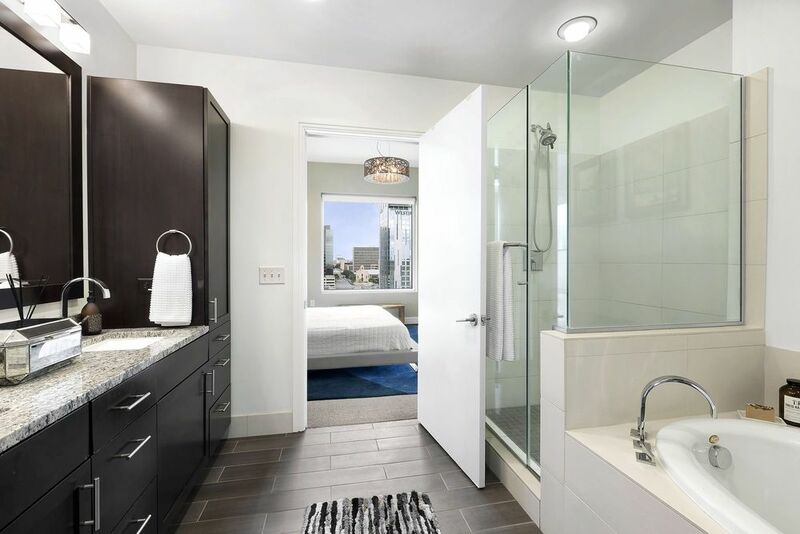 Whitley is the quintessential downtown living experience, offering eco-friendly homes with refined interiors that include stainless steel appliances and granite countertops. Schedule a tour today to see for yourself how this high-rise community stands out from the crowd. Offering studio, one bedroom and two bedroom apartments, Whitley’s spacious layouts were designed for modern life. Beautifully finished with granite countertops and a glass mosaic tile backsplash, each home creates the ambiance of a sanctuary to welcome you home. With rainwater showerheads and a front-loading washer and dryer set, you’ll love the combination of convenience and style you discover at Whitley. 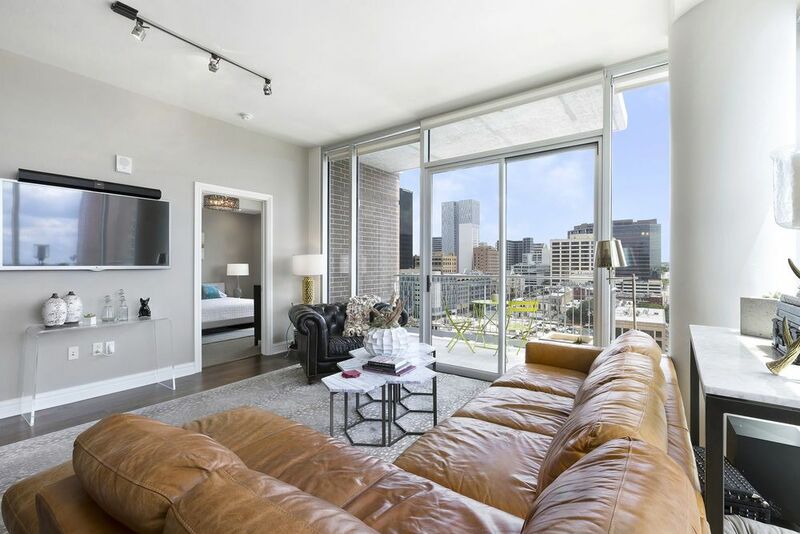 Exemplary downtown living is waiting for you when you make your home at Whitley Apartments. 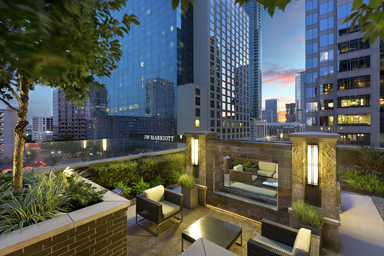 An urban retreat in bustling downtown Austin, this community has controlled-entry parking and luxe social spaces such as the rooftop aqua lounge set against the backdrop of an expansive waterfall and accentuated with natural stone. Modern skyscrapers mingle with 19th-century buildings in this downtown Austin neighborhood. Whitley residents enjoy being at the heart of this historic entertainment district with restaurants, coffee shops and bars featuring live music. Food lovers appreciate being within walking distance of the gourmet flavors of Austin when they explore the area’s many dining options.